Which Swiss Watch Should I Buy? Swiss watches are synonymous with precision and luxury. The most well-known names in the business, with few exceptions, all hail from this Alpine country. Rolex, Omega, IWC, and Breitling all represent tradition and high quality. If you want to buy a Swiss watch, you have a wide range of options. The right way to find out which watch is best for you is to ask yourself the following question: How much do I want to spend? A new, brand-name Swiss watch with a mechanical movement can cost as little as 1,000 euros. You can find watches from manufacturers such as Chronoswiss, Maurice Lacroix, Oris, and Raymond Weil in this price range. Some series from these manufacturers are more expensive, however. For example, Raymond Weil's Nabucco chronograph costs around 3,000 euros new with a titanium case. TAG Heuer and Tissot also have a large selection of watches available for less than 5,000 euros. Rolex and Omega are probably the most well-known representatives of Swiss luxury watches. The legendary Omega Speedmaster Professional is available in many different variations for less than 5,000 euros. The version closest to the original Moonwatch chronograph, which you can find under reference number 311.30.42.30.01.005, costs around 3,500 euros and has a stainless steel case. The material certainly influences the price, as cases made of precious metals are much more expensive than those made of stainless steel. An Omega diving watch from the Seamaster collection with a gold case costs around 15,000 euros. The Rolex Submariner without a date display and a stainless steel case costs around 6,500 euros new. You should be prepared to spend at least 23,000 euros for a yellow gold Submariner, and 25,000 euros for a Rolex Daytona. 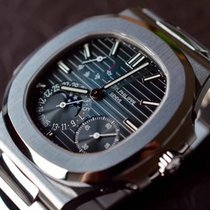 Patek Philippe's Nautilus is one of the most sought-after and expensive stainless steel sports watches from Switzerland. Without any complications, the women's version costs 20,000 euros, and the men's 25,000 euros. With a white gold or platinum case, the price jumps to 140,000 euros. The Calatrava, also from Patek Philippe, is the definition of a classic, elegant dress watch. New, the most popular version costs around 15,000 euros. If you decide to go with a watch from Breguet or Blancpain, expect prices over 100,000 euros. Cases made of precious metals, diamond-set cases and straps, and intricate complications such a tourbillon increase the value of such watches. The newcomer Hublot also has some watches in this price range. The futuristic MP-05 LaFerrari watch usually costs 200,000 euros. The version with a sapphire glass case is over double the price, costing more than 400,000 euros. Watches are a defining part of Switzerland's cultural image. They're more iconic than the banks and the cheese; only chocolate ranked "more Swiss" than watches according to a survey of participants from 15 different countries. to diving and pilot's watches. Some of the Swiss companies even produce high-tech smartwatches. Many of these watches function as status symbols, ignoring their actual intended functions. Many diving watches from the Seamaster and Submariner collections will never go underwater, and only a small number of the pilot's watches sold by IWC or Breitling are actually worn in the cockpit. These watches work equally well as a tool watch or a luxury lifestyle object. There are also mass market affordable watches, such as the famous quartz-powered Swatch with its bright and colorful plastic case. There are now mechanical versions with a simple 51-piece movement. The typical Swatch looks somewhat cheap and is not taken seriously by many watch fans, but certain models have sold at high prices as vintage watches. Furthermore, the Swatch is significantly responsible for helping the Swiss watch industry survive the Quartz Crisis of the 1970s and 80s. The Swatch watch, trendy and colorful, broke Swiss watches out of their conservative, stuffy image and attracted a new target audience. Above all, young people were attracted to this bright and simple watch. However, luxury watches are what people think of when they think of Swiss watches. Switzerland leads the world in watch exports if you don't rank by number of timepieces. While only about 2% of watches sold worldwide come from Switzerland, they are worth 60% of the total value. Many well-known brands with long watchmaking traditions belong to the Swatch Group (market share: 18%) or to luxury goods concerns like Richemont (market share: 16%) or Moët Hennessy Louis Vuitton (LVMH, market share: 5%). Rolex is the largest independent Swiss luxury watch manufacturer (market share: 12%). Their independent status greatly contributes to their outstanding reputation. Rolex is number one amongst the large manufacturers. The Geneva-based manufacturer has been in business since 1905. 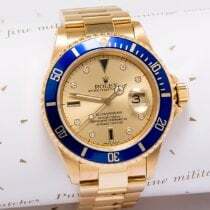 Rolex produces some of the most famous and beloved watch models in the world, such as the Submariner, Daytona, and Datejust. The Submariner is the definition of a diving watch, the Daytona is one of the most famous chronographs, and the Datejust embodies elegance. Rolex's pilot's watch is the Air King, and their GMT Master II displays a second time zone. With the invention of the perpetual rotor, Rolex significantly contributed to the breakthrough of the automatic watch in the 1930s. Every year, the manufacturer sells around 800,000 watches featuring their iconic five-point crown. Rolex doesn't publish any official sales numbers. However, since Rolex has their watches certified by the Official Swiss Chronometer Testing Institute (COSC), we can calculate how many Rolex watches are produced based on the COSC's publications. The most famous man to wear a Rolex is undoubtedly James Bond. He completes many of his missions with a Submariner on his wrist. However, the British secret agent switched to Omega, a member of the Swatch Group, in 1995. Omega plays a central role in the Swatch Group's company strategy, as they see the brand as a strong competitor for Rolex. Rolex isn't the only manufacturer with legendary watch models; Omega has their own to be proud of. The Seamaster is a diving watch collection that's been in production since 1948. The famous French oceanographer Jacques Cousteau wore a Seamaster. Another iconic Omega watch is the Speedmaster Professional. "Speedy," as it's nicknamed by fans, was the official NASA watch on the Apollo missions, making it the first watch on the Moon in 1969. The so-called Moonwatch is available today, almost unchanged from the original version, but now features a modern Co-Axial caliber and comes in many special limited editions. There's also the De Ville series, which showcases Omega's classic side. IWC, based in Schaffhausen, also offers elegant Swiss watches, such as the Portugieser. They're even more famous for their pilot's watches, though; their Big Pilot watch and the Mark series are considered excellent pilot's watches. The Mark 11 was the official service watch of Royal Air Force pilots for decades. Breitling is a strong competitor for IWC in the realm of pilot's watches. Breitling's Navitimer is considered one of the most important pilot's watches. The watch, which was introduced in 1952, has a special slide rule function. It has two logarithmic scales on the dial which you can turn to perform various calculations, such as distance and fuel consumption. Breitling also offers powerful diving watches with their Superocean series and some versions of the Avenger. Rolex, Omega, IWC, and Breitling are all considered to be on the same level, thus Breitling also has a conservative, elegant line as well, the Transocean. Besides mechanical timepieces, Breitling also offers quartz watches with refined technology, such as the Emergency with an integrated distress beacon. One rung higher on the luxury watch ladder is Patek Philippe. It's clear from the start that this manufacturer is a bit different: Most of their cases are made of solid gold. In the Swiss watch industry, steel cases are used around 50% of the time. Precious metals like gold and platinum are only used around 2% of the time. 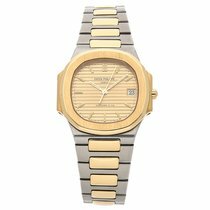 Patek's Calatrava collection is a symbol of the company and the epitome of a stylish dress watch. This watch collection debuted in 1932 and was inspired by the Bauhaus art movement. Patek Philippe's Nautilus also has a special position in their portfolio. It's a stainless steel sports watch waterproof to 120 m (12 bar) – all unusual qualities for a Patek watch. The company has a long history of watchmaking. The independent family business has existed under this name since 1851. Until 2009, Patek Philippe used the Geneva Seal as a symbol of high Swiss quality. Now, the company uses their own seal with even stricter standards. Blancpain and Breguet have been in business even longer. Today, they're both members of the Swatch Group. Abraham-Louis Breguet founded his company in 1775. He's responsible for countless important watchmaking inventions, such as the tourbillon. Blancpain has been around since 1735. Their most famous series is the Fifty Fathoms diving watch. Brands such as Patek Philippe, Breguet, and Blancpain, are representative of the conservative values of the Swiss watch industry. This applies to Jaeger-LeCoultre as well. This manufacturer has been producing high-quality watches since 1833. Their Reverso is one of the most popular rectangular watches. Hublot takes an entirely different approach. This relatively new manufacturer plays the role of the rebel most excellently. One distinctive Hublot feature is their unusual, square-edged porthole design, which occasionally borders on the bizarre. Legibility isn't Hublot's main concern. Instead, they show a preference for the use of unusual materials such as ceramic or titanium. With their patented Magic Gold alloy, Hublot broke new ground. Magic Gold is an incredibly scratch-resistant alloy composed of gold and ceramic. Magic Gold comes quite close to the ideal, everlasting case material. Hublot was founded in 1980. In 2005, under new leadership, they introduced the Big Bang series. The Big Bang caused a sharp increase in sales, catapulting this Genevan manufacturer into the same league as other well-known Swiss brands. The somewhat calmer Hublot alternative to the Big Bang is the Classic Fusion. Hublot is not without precedent. Audemars Piguet's Royal Oak, introduced in 1972, as well as their Royal Oak Offshore, inspired Hublot's designs. The wide bezel with visible screws was directly influenced by the Royal Oak. When it comes to TAG Heuer, it's all about timing. They patented their first stopwatch mechanism in 1882. TAG Heuer has dedicated themselves to the art of racing ever since – it's not a coincidence that their most well-known series is called the Carrera. Even the rectangularMonaco is a legend amongst racing watches. The actor Steve McQueen wore a Monaco in the film Le Mans. Watches from TAG Heuer are in a moderate price range. This applies to Tissot as well. Aside from classic mechanical watches, Tissot offers modern quartz watches as well. The T-Touch Expert Solar is solar powered. 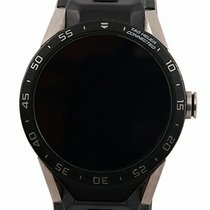 It's a multi-function watch with background lighting, a second time zone display, chronograph function, timer, alarm, compass, barometer function, and many other extras. The watch has a titanium case and is waterproof to 100 m (10 bar). The T-Touch Expert Solar has features that only an electric-powered watch can offer. Such an array of functions is impossible for a mechanical watch, especially one that costs less than 1,000 euros. Other manufacturers also combine Swiss quality with moderate prices, such as Longines, Raymond Weil, or Maurice Lacroix. These companies often use calibers from the world's largest ébauche manufacturer, ETA SA Manufacture Horlogère Suisse, which is also based in Switzerland. The Swiss company Sellita also offers movements that can be found in the watches of many famous manufacturers. Only a few brands produce their own calibers, such as Rolex and Patek Philippe. !Zenith has some of the most important automatic chronograph movements in watch history. The fast-paced El Primero caused a stir when it was released in 1969; it even had a watch named after it. The Swiss watch industry began in the 18th century. Up until the second half of the 19th century, Switzerland was considered a place where it was easy to produce watches affordably. IWC, with roots in the United States, based their business model on this concept. After many successful years, the industry suffered in the 1970s and 80s during the Quartz Crisis. Cheap, mass-produced quartz watches produced in Asia endangered traditional Swiss production. Some manufacturers disappeared forever and many workers lost their jobs. Yet surprisingly, Swiss watches later experienced a renaissance which has lasted to this day. The fascination with the technical genius that goes into mechanical watches enthralls watch lovers all over the world. Many manufacturers with longer histories are no longer independent, however. Merging with a large concern, such as the Swatch Group, Richemont, or LVMH, saved many of these manufacturers from going under. Unexpected competition has popped up since then. The German town of Glashütte was trapped behind the Iron Curtain in East Germany until 1990. Watches have been produced in Glashütte since the mid-19th century, but they were far from being luxury watches when Germany was divided. Now, other manufacturers such as A. Lange & Söhne and Glashütte Original have established themselves in Glashütte, making Glashütte watches true competition for Swiss manufacturers.